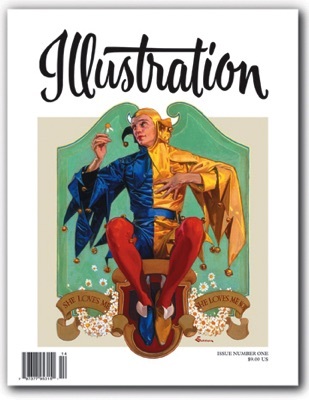 In this issue: Illustration issue #1 returns in a redesigned and expanded edition! 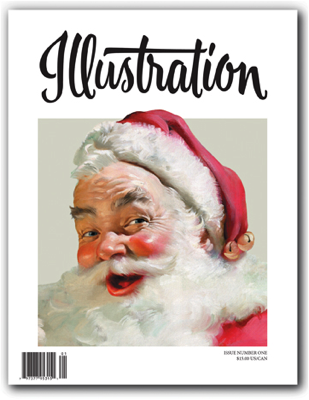 In this number we profile Haddon Hubbard Sundblom, best known for his depictions of Santa Claus and his world-famous advertising art for Coca-Cola; paperback illustrator James Avati; and science-fiction paperback cover artist and educator Jack Faragasso. Book reviews, and more! 64 pages in full color. $15.00 U.S.